MOSCOW, March 14. /TASS/. Russian President Vladimir Putin has given instructions on Tuesday to accept the government’s proposal and sign an agreement on the procedure of integrating South Ossetian separate military units into the Russian Armed Forces. The president’s instruction was posted on the government’s legal information web portal on Tuesday. 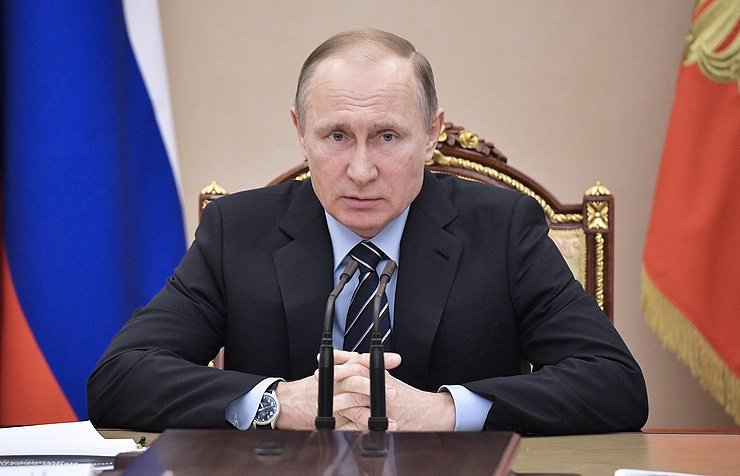 Putin also instructed the Russian Defense Ministry to hold negotiations with the South Ossetian side and sign this agreement on Moscow’s behalf. Under the agreement, the integration of separate units into the Russian Armed Forces implies recruiting citizens for military service in the Russian Armed Forces and sending them to the Russian military base in a voluntary procedure for active duty. Upon concluding such a contract, a citizen must be discharged from military service in the South Ossetian Armed Forces and his further active duty will be regulated by the Russian legislation. 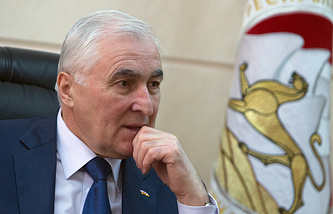 The agreement on integrating some units of the South Ossetian Defense Ministry into the Russian Armed Forces is an additional document under the Treaty on Allied Relations and Integration signed by the presidents of both countries on March 18, 2015.